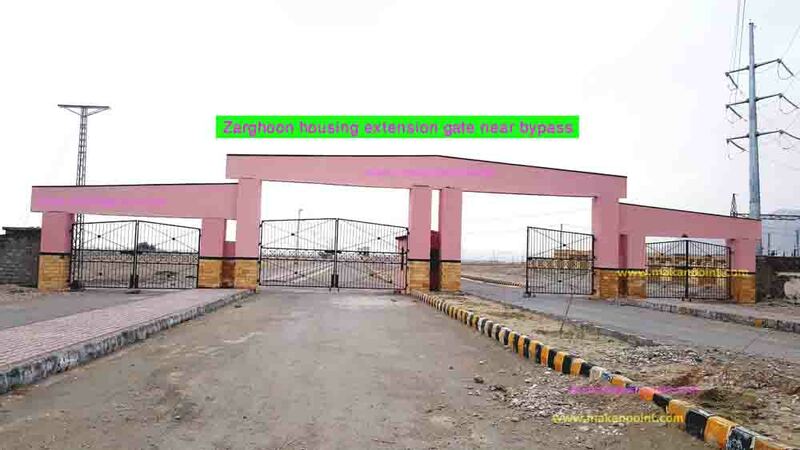 Zarghoon housing is a housing project developed by Quetta development authority. Its one of the biggest gated housing scheme in Quetta. It is located at the northern side of Quetta city. Before the abadi of sra ghurgai. at the back side of nawa killi. Located ahead sra khula. A housing colony with complete boundary wall and two main entrance at western and eastern side. The western gate connects to old nawa killi bazar road while the eastern Zarghoon extension gate Links to zaiarat bypass. It is connected by Nawa killi bypass, cantt hanna by pass and new road which will be from baleli to zarghoon housing scheme. Currently zarghoon housing scheme is the biggest stretch of land available for development in Quetta. The total area for the development project is 252 acres. The land was allotted in 1992. Zarghoon housing has different plots for parks, schools and hospital. The size of the plot for the hospital is 22500 feet. The land located for making parks is 398000 square feet. A new police station is also built near the housing scheme. 80000 square feet land is chosen for schools. 27000 feet land for play grounds. 45000 feet land for the Masjid. Commercial is very important for every major housing scheme. Zarghoon housing also has commercial area. 90000 feet land is available for making hotel. Different size commercial plots are the size of 4500 feet, 1800 feet and 2500 feet. It is more than 250 acres in size. larger than university of Balochistan. One of the best planned housing society in the area. It has more plots than Jinnah town and Chiltan housing scheme . This will become something like chiltan housing scheme because it is designed by Quetta development authority. The width of the main road in zarghoon housing scheme is more than any other housing project in Quetta city. 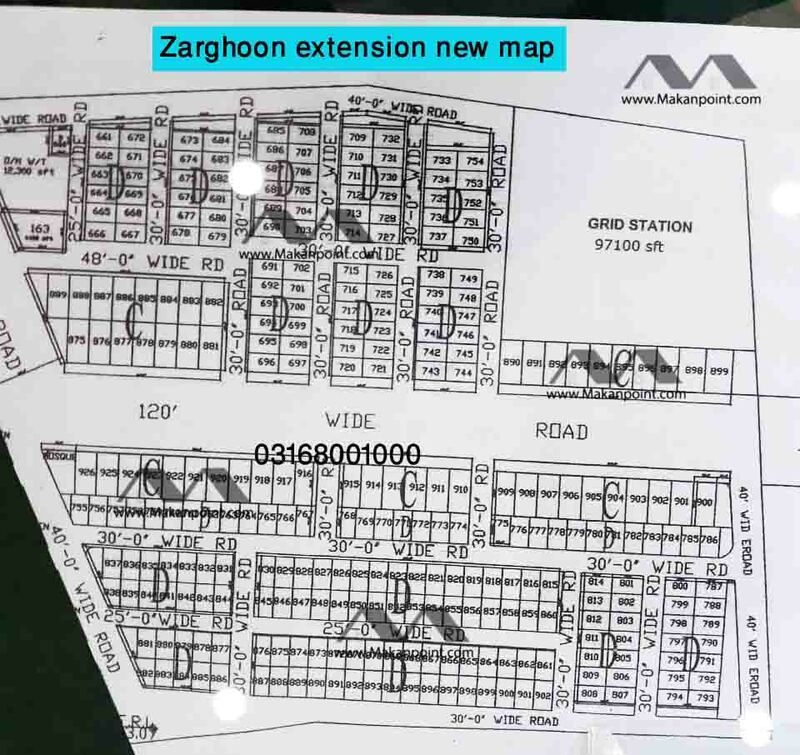 Zarghoon housing scheme extension Quetta map. First map after balloting. 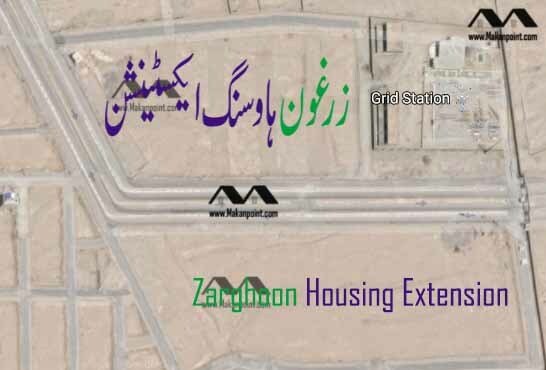 Zarghoon housing extension is near bypass gate. The main gate is visible from ziarat bypass. straigh double road connects extension gate to bypass by wide road. The grid station have security guards already. In 2015 a draw was carried out on camera. Prominent people took part in this draw. The plots from this draw is totally clear. 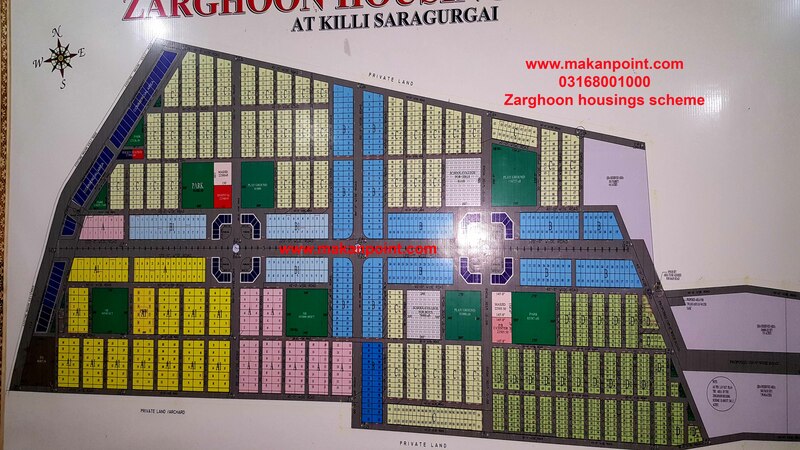 These are the plots of zarghoon housing extension. But why are prices lower than the main zarghoon area. the answer is there are no roads. its all dirt. But there are road markings. sewage is availanle on the northern side of extension. Another problem is the map. the Grid station was built later. Qda made a new map. was built which was probably cancelled later. The map that you see above is the original first map that was released in the end of 2015. Qda also publihsed a Renumbering of plots list. There were many statements of prominent people in news papers of 2019 and before about the situation. The problems of zarghoon extension are solvable. After roads are built in zarghoon extention its prices will be more because of bypass. Sui gas will also come from the bypass side. Prices of Land files in Zarghoon housing scheme. Prices fluctuated many times since the announcement of Zarghoon housing scheme Quetta. The profit that people demand on plot files went up and down so many times. no one knows the exact reason. a lot of poor people lost their money and investors gained huge profits. but than this is the nature of the plot files. The smaller plots are the main interest of investors as they are cheap. In the beginning of 2016 when news of construction of electricity grid started circulating the prices started rising. In january 2016 the profit for 120 square yards plot was less than 6 lakh rupees which grew to up to 7.5 lak rupees in the next few months. After the announcement of new property taxes the prices started downturn in july 2016. In december 2016 12o square yards was trading for 4 lakh rupees. From 4 lakh to 8 lakh back to 4 kah rupees in 16 months. But now its recovering again and the average profit demand for 120 square yards plot file is 5 lakh rupees. In 2019 the price jumped to a record level. In January 2019 Zarghoon was a very valuable business commodity. But than the prices came down. Now the market is stable. its slow but continuous. This rise of prices marketed the project very well. People of Quetta realized that zarghoon has a new bypass. it is almost complete for living. it is said that many people has applied for map and site plans to construct house. The water of mangi dam will enter Quetta through the mountains on the northern side of zarghoon housing scheme. Zarghoon housing may get its water supply from Mangi dam when the project is complete. This area has more open land available than any other location close to Quetta city. Which provides more options in planning more. One of the Problem of Quetta bazar area is the mountains in the east. It doesn’t allow to construct further towards the east in that area. Usually cities are designed from east to west so when the sun rises it is visible on either side of the main road. That’s what is present in zarghoon housing scheme. It is designed east to west. The construction of houses is allowed in zarghoon housing scheme . There is no sui gas yet. But it will be provided because zarghoon housing is already in good shape. wapda housing society has also been provided sui gas. And now they are saying that they hit another big reserve somewhere in the ocean. The grid station is in place and linked to supply poles from the bypass. Zarghoon housing scheme is said to be the focal point in the future. When it is built it can compete Chiltan housing scheme in standards only much bigger and better planned. 2019 is the zarghoon year. now is the best time for the controllers of the housing scheme to visit the place. To give more importance to zarghoon housing than other projects. because Zarghoon housing is almost complete. For further reading Click on the links below. 3. For more pictures of Zarghoon housing scheme click here. 5. Contact us for more details. 7. 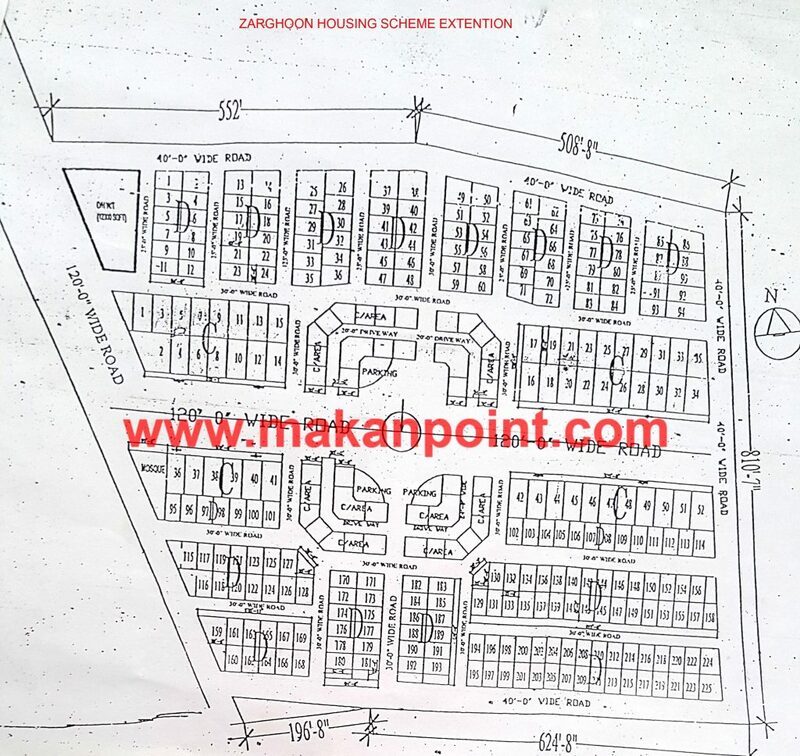 Zarghoon housing scheme plot file guidelines and samples.